The entire nation can't get over the fact that the legendary actress Sridevi is no more with us! Her sudden demise has left her fans and followers not only sad but shocked as everything happened in a blink of an eye. While there are a lot of speculations around the cause of her death, Sridevi's uncle Venugopal Reddy, in a video interview to a regional daily (iDreamNews), made a few shocking revelations around her life. He said that because of Boney Kapoor she was leading a painful life, and also added how Sridevi's mom used to treat Boney Kapoor badly. As per Sridevi's uncle, her mom wasn't much happy with Boney Kapoor as she never liked him. "Actually, Sridevi's mother did not like her getting married to Boney Kapoor. Her mother didn't treat him properly on couple of occasions when he had come home," said Venugopal Reddy. "But Boney Kapoor and Sridevi wanted to get married. Sridevi's mother did discuss that with all of us. But eventually they did get married." "What we knew was Boney Kapoor lost a lot of money in few films and they sold Sridevi's properties to make up for the losses. And Sridevi always had that pain in her heart. Sridevi lived in pain and passed away with a lot of pain in her heart." Sridevi Was Going Through Financial Crisis? "She was not at peace. She wore a smile on her face for the world but she went through a lot inside her. Boney produced a film which never saw the light of the day, and they were financially going through a tough phase." Why Did Sridevi Make A Comeback? "Sridevi sold her properties and cleared those debts to get life back on track. And that was the main reason why Sridevi got back to acting in films." Throwing light on Sridevi's bitter equation with Arjun, her uncle said, "Sridevi did mention to few of her relatives that she did face few challenges with Arjun Kapoor, but I'm not too sure about it." "When few of our relatives paid a visit to Sridevi, during their converation she did mention that she was worried about daughters Jhanvi and Khushi, about their future. Sridevi also mentioned that Boney wasn't well and his health was a bit worrying." "Yes. she did get couple of surgeries done on her nose. She travelled to the US and got the surgeries done on her nose since she wanted it to look good. We got to know this when we casually ask about her well-being while speaking to her mother over the phone." Revealing about the same, he told, "When her mother was operated in the US, the doctors performed the surgery on the wrong side of her brain because of which she was totally bed ridden. She was alive but not in her senses. She had become just an object." 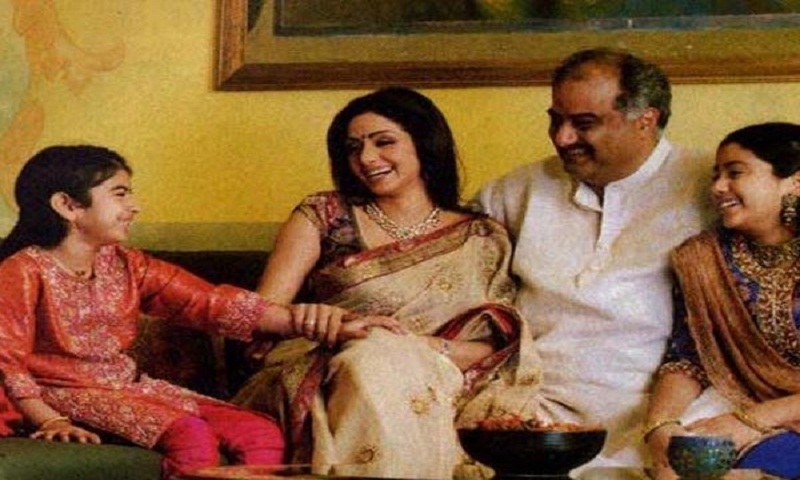 "After the family got to know about the surgery, they filed a case against the hospital and Boney Kapoor was along with Sridevi during this process. And court penalised the hospital, and sisters, Sridevi and Srilatha, had few differences in the allocation of that amount which was later cleared by the family members, reports Filmibeat. And besides a share in this compensation, Sridevi used to send a lot of money to her sister Srilatha and they were fine."